For Security and Aluminum Storm Doors. All frames are powdercoated to match door. A door with a standard size of 36″ x 80″ will fit a range of openings between 35-5/8″ to 36-1/4″ in width and 79-1/2″ to 81″ in height when using a Standar Z-Bar frame. 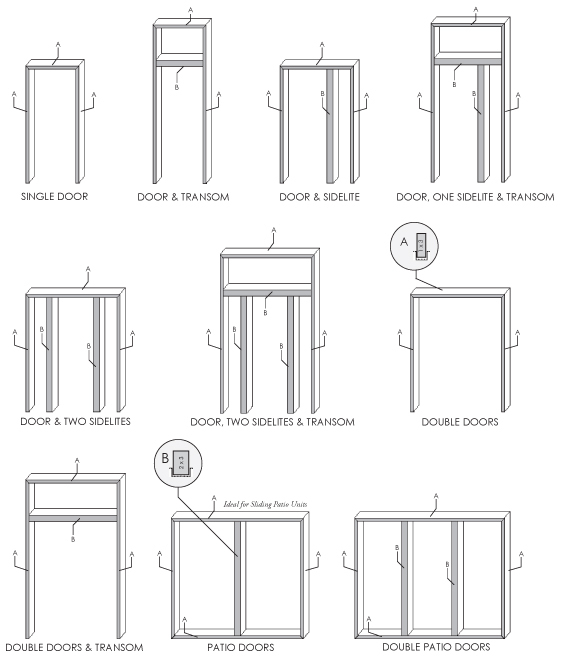 A door with a standard size of 36″ x 80″ will fit a range of openings between 35-3/4″ to 36-1/8″ in width and 79-1/2″ to 81″ in height when using an Expandable Z-Bar frame.